Blanc vermouth elbows its way in between sweet and dry as a pre-dinner aperitif and modern cocktail component. Dry is for Martinis, and sweet is for Manhattans. But just what the heck do you do with white vermouth? This style – which may be labeled “blanc,” “bianco” or “white” – dates back almost as far as its more popular (and more frequently stirred) siblings, yet also tends to be the most difficult to understand. But with more bottles on shelves from producers including Carpano, Dolin, Alessio and Cinzano, it’s time to give the pale yellow aromatized wine a peek. White vermouth was actually first created in Chambéry, France in the 1880s, either by Dolin or the now defunct Comoz, Eric Seed, principal for Haus Alpenz, points out. (It’s a point of contention among the two companies.) The main botanical is wormwood, it’s generally two to three times sweeter than the dry style, and it was originally served as a Spritz with soda, sliced strawberries, and either a mint sprig or citrus twist. 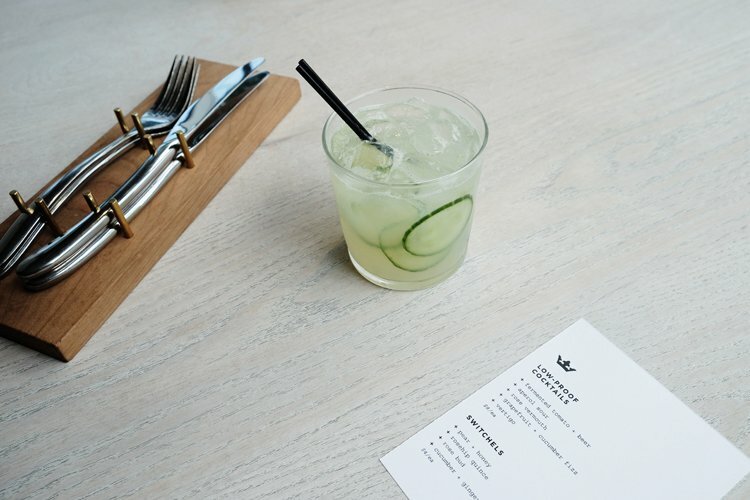 Upton 43 in Minneapolis still serves a blanc vermouth Spritz, the Grapefruit and Cucumber Fizz, and it’s their best-selling drink. (See recipe below.) “[Today], the fear and disdain of vermouth has been replaced by curiosity and acceptance,” Seed says. Indeed. “I really like bianco vermouth as a base ingredient for low alcohol cocktails,” says Scott Mayer, director of brand advocacy and education for Infinium Spirits, which produces Carpano Bianco, who adds that it’s a wonderful aperitif. “I usually drink it on the rocks with a grapefruit twist or in a Collins glass mixed with club soda and a lemon twist.” An aperitif lets the vermouth’s floral and herbal botanicals shine (plus, its low ABV makes it a palate prepper rather than a palate killer before a meal, unlike high test cocktails like the Martini). “Bianco vermouth has had a very quiet history living in the shadows of dry and sweet vermouths,” says Dave Singh of Palm Bay International and brand manager for Cinzano Vermouth. Now, it’s more than ready for its moment in the sun. Muddle cucumber, add other vermouth and sour mix, add ice and shake until well chilled. Strain into a rocks glass over fresh ice and top with soda.